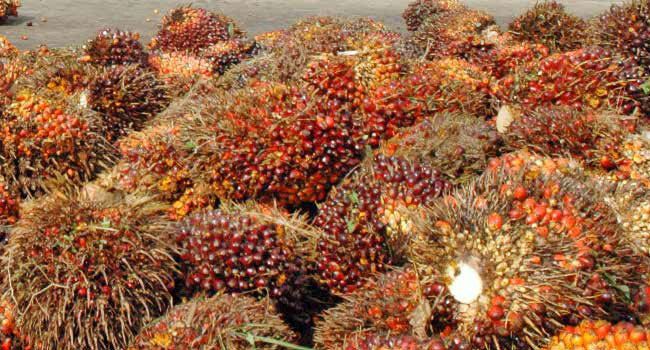 InfoSAWIT, PEKANBARU – Based on the Fresh Fruit Bunch (FFB) Team, Riau Province, and the FFB Document of Riau, No. 14 on 10 - 16 April 2019, it is decided that the 10 - 20 year old fruit is more expensive Rp 34,97/Kg to be Rp 1.510,05/Kg. Here are the FFB price lists in Riau Province based on what InfoSAWIT traced: the 3 year old fruit is Rp 1.116,53/Kg; the 4 year old fruit is Rp 1.208,36/Kg; the 5 year old fruit is Rp 1.319,50/Kg; the 6 year old fruit is Rp 1.351,02/Kg; the 7 year old fruit is Rp 1.403,61/Kg; the 8 year old fruit is Rp 1.442,19/Kg. The 9 year old fruit is Rp 1.475,76/Kg; the 10-20 year old fruit is Rp 1.510,05/Kg; the 21 year old fruit is Rp 1.446,50/Kg; the 22 year old fruit is Rp 1.439,31/Kg; the 23 year old fruit is Rp 1.433,31/Kg; the 24 year old fruit is Rp 1.373,36/Kg; and the 25 year old fruit is Rp 1.340,39/Kg.